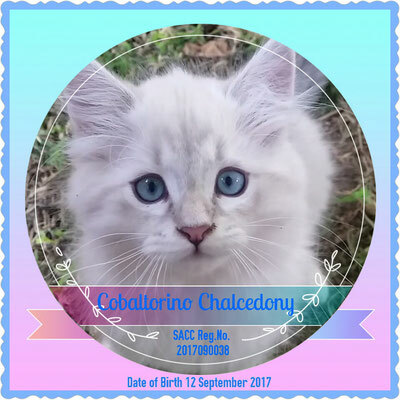 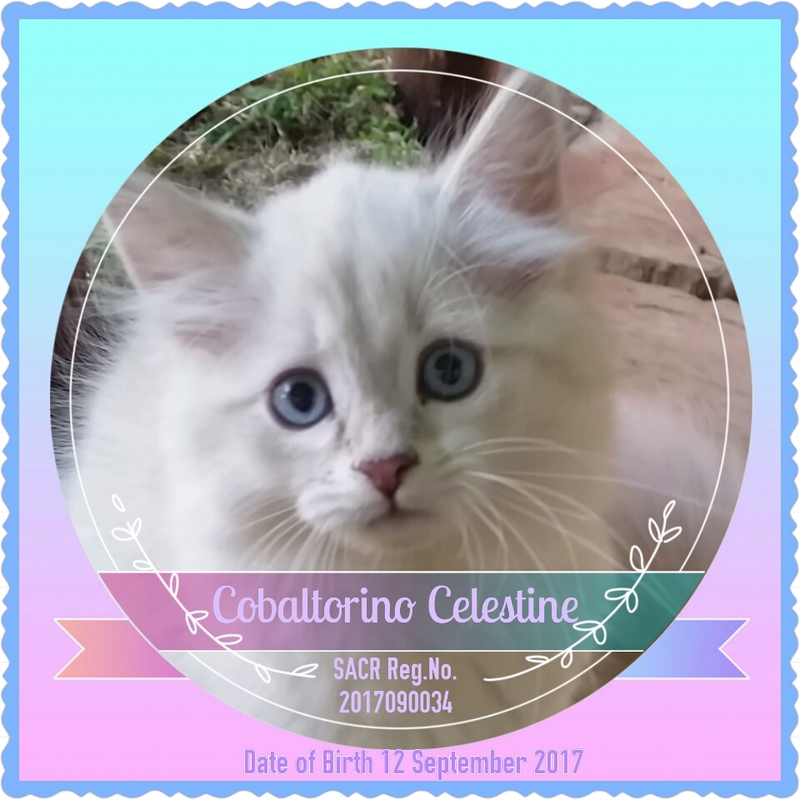 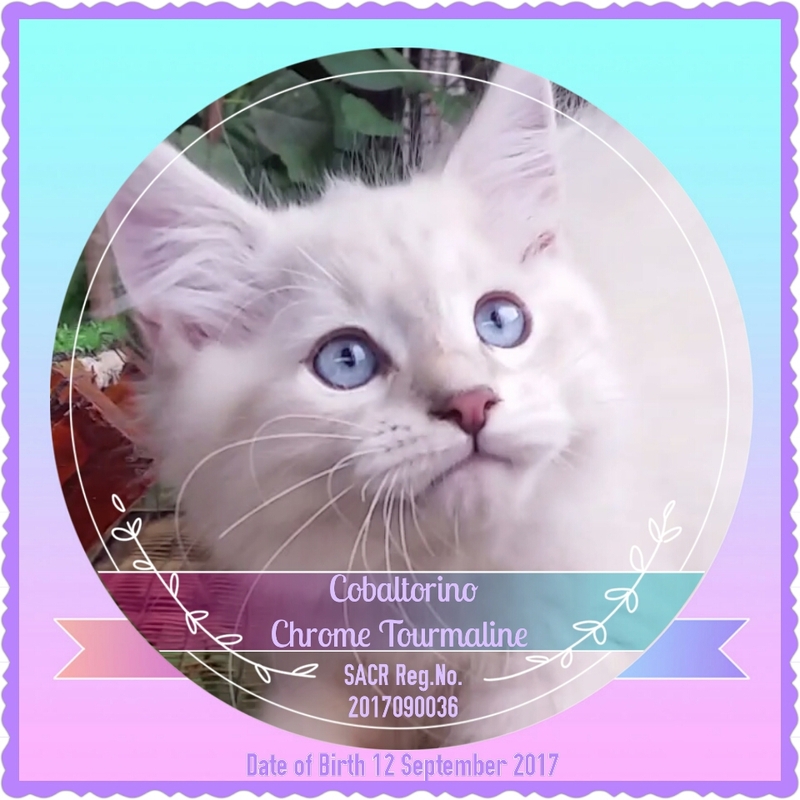 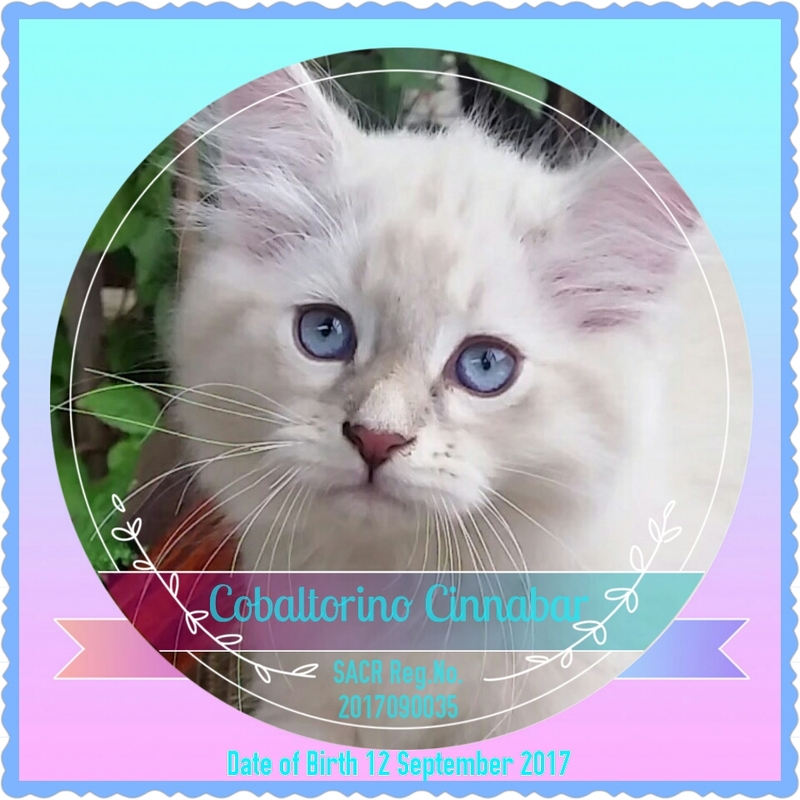 Eila gave birth to our Carnelian Litter on 12 September 2017, 5 incredible babies. Celeste, Cinnabar and Chrome now live in Cape Town. 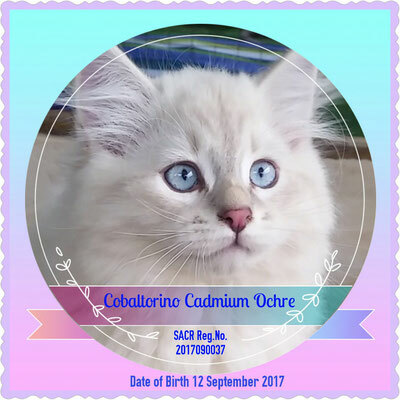 Cadmium lives in Johannesburg. Our beautiful Chalcedony remains with us in the cattery.